In the last few years, manufacturing in Rhode Island is on a growth spurt of sales, productivity and plant modernization, and that’s led to one of those “good” problems. Similarly, new construction projects are showing up across the state, from bridge and road rebuilding to new business and residential projects in downtown Providence. And in both cases, companies are scrambling to find workers to fill jobs on the factory floor and on the job site. The concept of supply chain management – usually associated with hard goods such as metals, chemicals, and other raw materials – is moving into human resources offices. Companies are thinking of workers as a commodity requiring more and continuing investment. Manufacturers and contractors are gearing up on all fronts to recruit workers and create a pipeline to talent for the future, including a fresh emphasis on partnerships among companies, trade associations, educators and government. Companies are recruiting job applicants by every method in the playbook. They are doing new-worker training and incumbent-worker retraining because factories are more automated, computerized and reliant on workers’ initiative than ever before. They are hitting the road, visiting schools and community groups to describe contemporary manufacturing and construction jobs and workplaces to ever-younger audiences, even into high and middle schools. Manufacturers are opening factories to visitors to convince potential employees that these places are no longer dark, dirty, dangerous dens of low-paying jobs – an old image embedded in many Rhode Islanders’ minds, while builders are engaging interns to learn the ins and outs of the construction trades. Rhode Island’s contemporary factories now are more likely to be bright, clean and filled with sophisticated, computer-guided machinery. Many are air-conditioned. 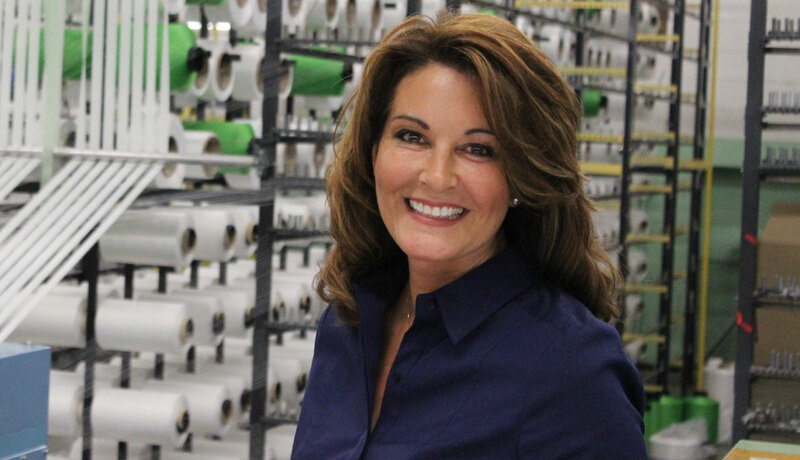 “We tell people, ‘We work hard, but we don’t sweat,’ ” said Michael Black, president, and CEO of National Marker Co. in North Smithfield, which started out by making safety signs and has moved into sophisticated printing technologies. Thirty years after the decline of Rhode Island manufacturing in the 1980s and 10 years out from the Great Recession that clobbered manufacturers across the nation, how did we get to a time when companies are scrambling for workers? The state has about 1,600 manufacturing businesses, said David Chenevert, executive director of the Rhode Island Manufacturers Association. At 4.1 percent in July, unemployment in Rhode Island is low, and all employers are competing for labor. Some workers dropped out of factory jobs during the contractions of the 2008 recession. “When manufacturing companies were down and the whole country was having a bad time, [Rhode Island] lost a lot of workers,” said Cheryl Merchant, president and CEO of Hope Global. Merchant and many others noted that Rhode Island manufacturers have an aging workforce. “It’s not uncommon to have 40- or 50-year retirement parties,” Merchant said. Amy Gryzbowski, executive director of the Westerly Education Center, which does a lot of training for new hires at General Dynamics Electric Boat, said the company has had 10 percent attrition a year in its workforce, mostly because of retirements. A happier side of the struggle to find manufacturing workers is that manufacturing is on a strong growth trend in Rhode Island. Referring to Swissline Precision LLC, a Cumberland company he used to own, which is now run by his son, Chenevert said, “Orders are rising; quotes are incredible. Sales in the last year are up 10 percent from gross sales of the previous year. Manufacturers are very upbeat.” They aren’t the only ones. The construction sector workforce hit an all-time high in Rhode Island in 2006, employing 22,791 workers. By 2011 that number had fallen to 15,680. But in July it stood at 19,200, with employers consistently calling for more workers, here and across the United States. Manufacturing share of employment: Rhode Island ranks fourth in New England for the percentage of its workforce that is employed in manufacturing. One line of attack at the problem has been recruitment, via LinkedIn, ZipRecruiter, job fairs, career days at secondary and postsecondary schools, direct talks with high school guidance counselors and people in postsecondary technical schools such as New England Tech. Some company chieftains and human resources people say high school students and young adults simply haven’t considered a career in manufacturing or construction, partly because of the emphasis in high schools in the recent past was to aim kids toward four-year college degrees. But there are plenty of people who are not inclined or suited for four-year college programs, who like to work with their hands and solve technical problems, and who can be earning a wage in manufacturing and construction just a few years out of high school. “When my kids were in high school, everything was oriented toward preparing them for college,” said Michelle Jacques, human resources manager at Tiffany & Co. in Cumberland. “In the last generation we lost sight of the trades, and we really have a lot of catching up to do.” Jacques mentioned a young man in a general studies program at Community College of Rhode Island who showed up at Tiffany last summer for a strictly temporary job opportunity. He was smitten by the kind of work happening there. He changed his major to engineering, and he continues to work at Tiffany in an intern slot extended for him because of his enthusiasm. “You have to help people figure out what they are good at and how to apply it,” Jacques said. Also, people often don’t realize how advanced manufacturing work has become. Many executives said visitors to their facilities are astonished by the working conditions. Compared to decades ago, said Black of NMC, factory floors are now brighter, quieter, safer, more efficient, more computerized. They are places where fewer employees produce a greater output and employees are more self-directed. Merchant, of Hope Global, said, “The world of manufacturing is more than just the factory floor. It requires a huge variety of technical abilities. Manufacturing needs skills at all levels: dependable, hardworking people who aren’t trying to be the chief; skilled technicians; people with backgrounds in engineering and IT and accounting.” Even when manufacturers find good potential employees, even educated and skilled employees, training is still needed for specific needs and proprietary processes. Mid-career training for incumbent – or existing – employees also is necessary. An assortment of grants for training is available from the state DLT and the Governor’s Workforce Board. Three programs run by this board include Real Pathways RI, which uses partnerships to serve people with barriers to unemployment, including veterans, homeless people, and the long-term unemployed. Another is the Work Immersion program, which offers up to 50 percent wage reimbursement to companies that give temporary employment to certain college students and unemployed adults. Also, the Incumbent Worker Training Grants provide 50 percent wage reimbursement for approved continuing education programs for existing workers. One state grant program that earns very high praise from companies is Real Jobs Rhode Island, created in 2015. Real Jobs RI differs markedly from the old “training and praying” model, in which tech schools trained students and then tossed them into the job market, hoping they would find a slot for their skills. In contrast, Real Jobs RI starts by asking Ocean State companies to describe exactly the skills they need and then designs training programs to fit the need. 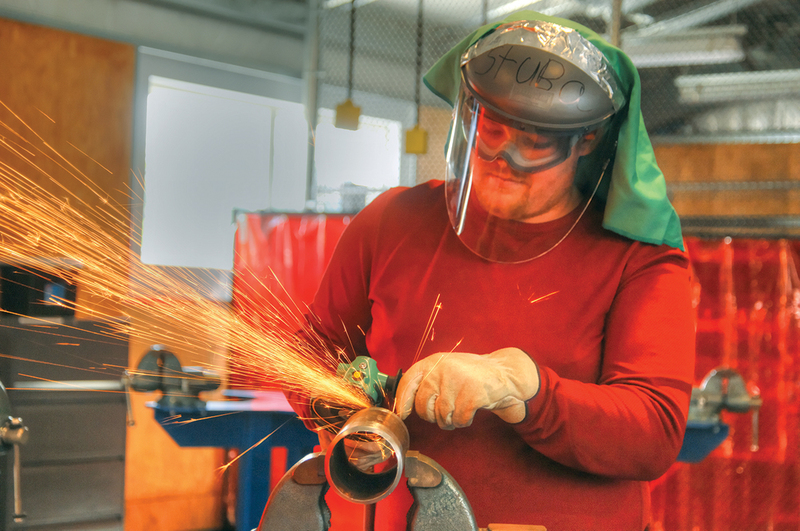 Training in this demand-driven model is often a combination of work in the classroom – at Rhode Island colleges and trade schools, as well as the unique public/private entity that is the Westerly Education Center – and on the factory floor. Real Jobs RI is described as “collaborative, flexible and business-led.” The program awards training grants only to industry-based or regional partnerships. A partnership is defined as “collaborations of no fewer than five employers, two other strategic partners (such as a college, university, or nonprofit), and a lead entity.” Real Jobs RI has provided $16 million in workforce development strategies since 2015, said the DLT. Since its inception, it has provided training money and support for 2,200 new hires; continuing education of 1,221 workers; and 144 high school and 45 college internships. Associated Builders and Contractors Inc. is a national trade group with chapters in the states. The Rhode Island chapter operates the Rhode Island Construction Training Academy, which has been running formal apprenticeship programs for 25 years. Kristen Brescia, director of training for the academy, agrees construction firms in Rhode Island are in dire need of skilled workers in all disciplines. The trades taught at the academy include carpentry, craft laborer, electric, HVAC, painting, pipe fitting, roofing, sheet metal work and sprinkler fitting. “There are shortages of workers in all areas of the trades,” she said. Training periods can range from two to five years, depending on the trade, Brescia said. The school enrolls 250 to 260 students a year. About 90 percent have been hired by a company and sent to the school for apprenticeship training. Since about 2008, the school’s enrollment mirrored the ups and downs of construction activity in Rhode Island, Brescia said. In the 2009-10 school year, when the recession was squeezing the economy, enrollment in apprenticeships took a dive. She said enrollment has been picking up since 2014, as the need for skilled construction workers has been rising. The state ABC chapter is focusing on reaching middle and high school students with the message that the construction industry offers training and lucrative jobs. In an Aug. 27 interview with Fox Business, Michael Bellaman, the CEO of ABC, said the group has more than 800 partnerships nationwide that are offering training to 200,000 people right now. Bellaman said someone leaving high school could go into training in these trades and earn $30,000 to $40,000 at a first job, moving up to pay of $65,000 to $70,000 within four years, with no college debt. Fifteen years ago, Amerisewn, in Cranston, made carrying cases for Apple computers, eyeglass cases, and sports bags. 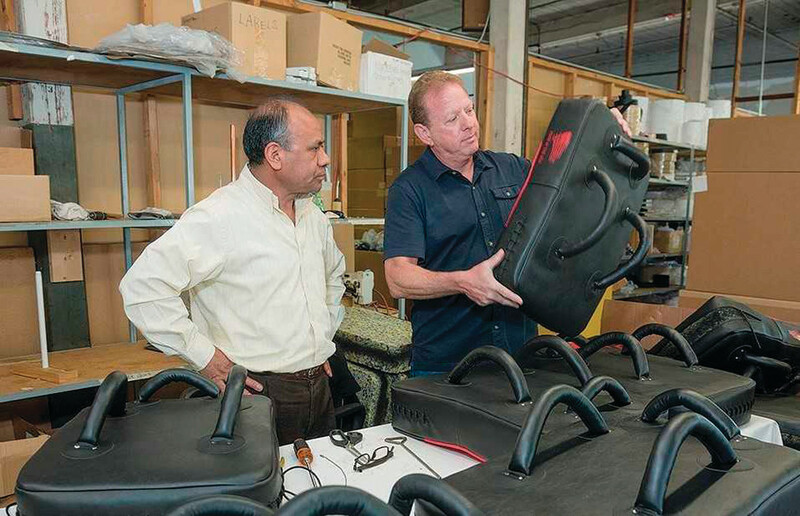 Today, CEO John Caito designs and manufactures high tech gear that protects military, law enforcement, and mental health industry employees from stabbing, slashing, and explosives. Hope Global has seen revenue grow significantly under the leadership of Cheryl Merchant. But as president and CEO of the 133-year-old company, Merchant doesn’t only provide solid management decisions and keep an eye on the bottom line. She also has a personal dedication to mentoring to help develop the next generation of leaders. Providence Business News has chosen the winners for its 12th 40 Under Forty program. The women and men to be recognized in the 2016 edition of the competition were chosen from among 150 applicants, and they will be profiled in an upcoming special section of PBN. 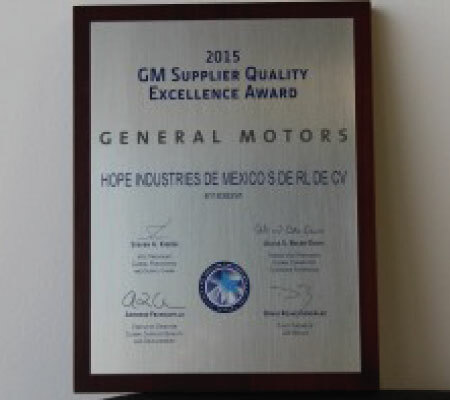 General Motors has been steadily working over the past three years to recognize their third-party suppliers through the Supplier Quality Excellence Award. “These suppliers have demonstrated their commitment to quality excellence and their outstanding performance is essential to GM’s efforts to provide its customers with the best products and services in the industry,” said Sheri Hickok, GM executive director Supplier Quality. Click here to learn more. When Leslie Taito, a senior vice president at Hope Global, was at an early point in her work life, a male customer once told her she was “prettier than a speckled pup.” As if channeling many businesswomen’s lifelong task of cleaning up gender relations in the workplace, Taito told the man, “You know, you just called me a dog.” The story elicited some wry smiles from the audience at the Business Women’s Summit, hosted by the Providence Business News May 12 at the Providence Marriott Downtown. The summit and a panel discussion preceded an awards ceremony for this year’s Business Women’s Awards winners. A few more stories of gender assumptions in the workplace – like one from a panelist who said she no longer takes a notebook into meetings because of the assumption that the woman in the room takes the minutes – followed Taito’s anecdote about her customer. 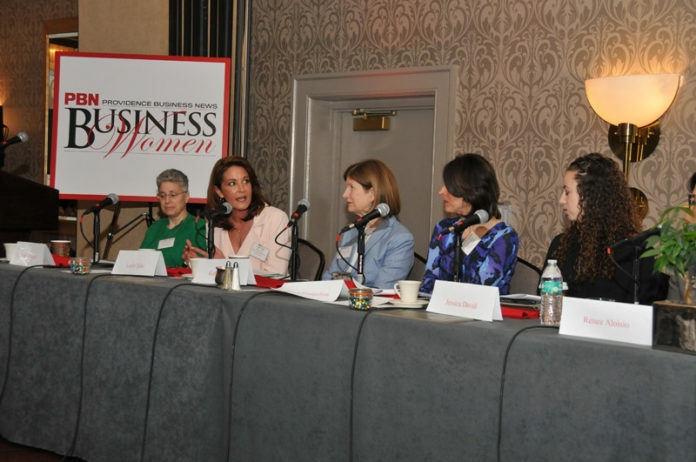 But for the most part, the summit, lunch and awards day was a festive time of accomplished Rhode Island women celebrating achievements and sharing ideas about how to rock the business world in high heels – sometimes pushing against overt or covert biases. In addition to Taito, members of the panel were Renee Aloisio, chief operating officer and partner at LGC+D; Jessica David, senior vice president of strategy and community investments at the Rhode Island Foundation; Renee Evangelista, a lawyer and one founder of Howland Evangelista Kohlenberg Burnett; Kati Machtley, director of the Women’s Summit at Bryant University; and Dr. Angela Caliendo, vice president of the University Medicine Foundation and executive vice chair of the Department of Medicine at the Warren Alpert Medical School of Brown University. Among topics such as communication styles, pay equity, flexibility and the value of mentoring, one recurring theme about female life in the business world was the need for women in business to simply banish uncertainty and speak up. In opening remarks, R.I. Secretary of State Nellie Gorbea said women sometimes hear an internal voice that discourages them from voicing a fresh idea. “We need to be that voice and to raise a hand,” Gorbea said. “To let things lie is a sure way of not changing the world.” Defining “intrapreneur” as someone marked to do innovative thinking within and for an organization, Evangelista said women should craft their careers with smart strategizing. “Be fearless; think strategically,” she said. “As you shape your message better, people start to rally.” Assertiveness is important in promoting oneself for raises and bonuses, something women are not particularly good at, panelists said. Women’s communication with each other also is important. The cattiness of middle school does not help women in the business world, speakers said. “We have to figure out how to give honest and good feedback and not be brutal about it,” said Taito. Panelists agreed that finding and using a mentor is important and that senior people have a responsibility to offer their expertise to younger people. “Make time for a mentor,” said Aloisio. “If you find you are not getting what you need you have to ask for it. Do it for yourself and then return the favor.” David elaborated on the point, saying that she seeks out women whom she admires and emulates them. David also raised points about the subtly of gender bias in the workplace. She said she’s been in meetings in which men spoke only to each other as if she were invisible. We’re excited that Leslie Taito, Hope Global’s Senior Vice President of Corporate Operations, has been honored with the Technical Services – Industry Leader award for 2016. 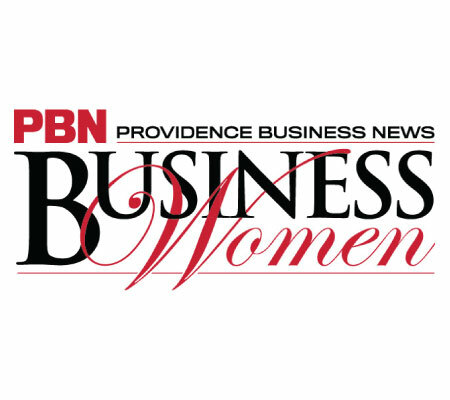 The Providence Business News Business Women Awards recognizes our region’s most successful leaders and business owners, and this year the program will be combined with PBN’s Women’s Leadership Summit, making the event a momentous day for women in business. 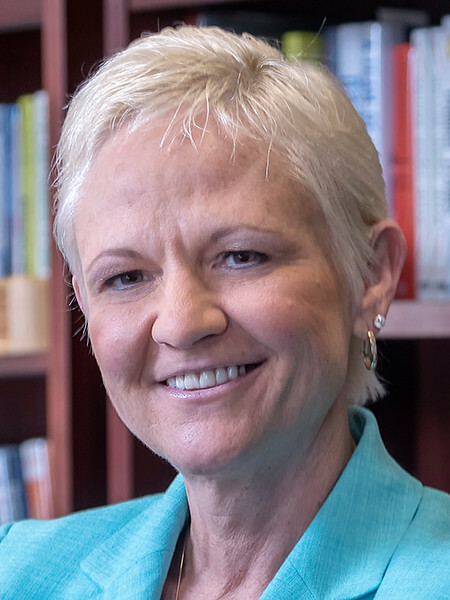 It was during a leadership-training program at General Motors that Cheryl Merchant says she found her calling as a leader and mentor. She joined Hope Global’s predecessor in 1999 and has fostered a spirit centered on teamwork that has helped the company triple annual revenue. She was recognized earlier this year as the 2015 outstanding mentor among businesswomen by Providence Business News. Throughout my career I have always known the importance of mentorship. I had an amazing mentor early on that pushed me, challenged me and advised me on everything from how to dress to how to tackle complex problems. I can’t think of a day that has gone by where I have not used a lesson or drawn upon that wisdom imparted upon me. My mentor was and is such an influence upon my career. I still talk to him weekly, as I now call him a friend. Mentorship is not just about sharing all the happy endings where everything worked out and you ended up winning one. It really is about sharing lessons learned. Mentorship is about taking your life experiences and breaking it down, the mistakes, the hard knocks, the “one you wish you could do over” and giving insight into what you learned and what you would have done differently. It really is about being vulnerable and open to examining the moments where we didn’t shine. It is in those moments where growth happens. Beyond the professionals at Hope, I am currently mentoring three young professionals. We meet regularly and discuss issues, life’s questions, things that are important and how to make decisions. There is a truly remarkable thing that happens when you mentor. You will get as much back, if not more, than you give. At least, I do!